Frequently Asked Questions on all things Pergolas, Decks & Alfrescos! Does Pergola Land have a showroom i can visit? Yes, we have a large showroom open 6 days with full size displays. Our friendly team will be able to discuss your needs and arrange an onsite visit at your home. Any building project over $5,000 must have a signed building agreement. We will come to your home and go through the building agreement with you. Once everything is confirmed, our representative will sign the agreement with you. Can Pergola Land handle the approval process with council for me? We have a dedicated compliance officer who will prepare all required documentation and plans and lodge to council for approval on your behalf. All you need to do is sit back and wait for our call to say the job is approved! You can read more on our DA / Council Assistance section. Do you have insurance to protect me and my home? A contractor must always have valid insurances. Pergola Land has all the required insurances, including Public Liability, Workers Compensation and Contract works insurance. You can rest assured that we have you, your property and our team covered. Do you supply materials only for me to build my own pergola or deck? Pergola Land does not supply materials only. 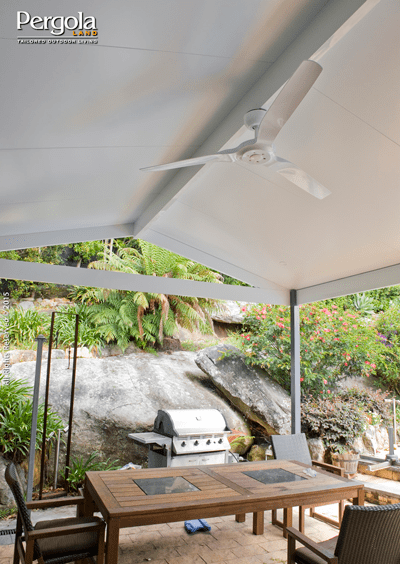 We have a highly skilled team of qualified carpenters who will arrive at your home to construct your new deck or pergola, saving you time and providing you with the peace of mind that our work carries a 10 year guarantee. Can you repair my existing deck or pergola? Unfortunately we do not carry out repair work on existing decks or pergolas. You are best to contact a local handyman for this type of work. Do you have galleries of completed projects? Absolutely! Please check out our galleries section for a collection of photos sorted by project type or our projects page for a more detailed run down of recent jobs. What's the process for engaging Pergola Land? To find out more about how we handle a project from start to finish, please view the ‘Our Process‘ page. Give us a call if you have any questions or would like to arrange a quote! Do you custom design each project? Yes we do. We have a Design Consultant who will visit your property and custom design the perfect area for you. We do not use prefabricated kits. Every home is different and has different requirements. Give us a call if you have any questions or would like to arrange a quote! What areas of Sydney do you work in? If you are outside of these areas, please contact us as we may be able to help you.